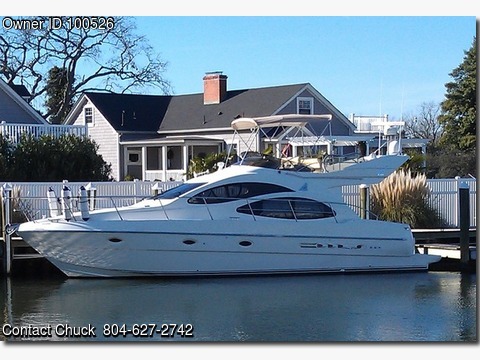 Boat is located in Hayes,VA.Please contact the owner @ 804-627-2742...JUST REDUCED,MOTIVATED SELLER! Hull design allows added efficiency and speed. Generator, 3 AC units, 2 staterooms, 2 heads, bow thruster, windlass, upper and lower helm. (Last survey report rated value at $250,000. Replacement value $550,000) The Azimut style and design was way ahead of its time, she turns heads, not your average cruiser. Electronics and teak floor in cockpit are dated and will need attention.